Blackjack is one of the few casino games which, when played optimally using a sound counting method, can offer players a mathematical house edge over the casino. This is precisely why casinos reserve the right to refuse service to player identified as being proficient at counting cards. The following discussion first touches on how to count cards, and second whether this skill can be effectively applied to live dealer casino blackjack. There are a number of methods employed to count cards, and contrary to popular belief, none of them involve memorizing every card that has been dealt from a deck/shoe and computing each and every card still left. One of the most commonly discussed and employed counting methods is the Hi-Lo method, and you will certainly not need a photographic memory or rain-man like savant abilities to pull it off…just the ability to add and subtract and pay attention. decrease (stop) your bets when you have a low (-ve) count towards the end of a shoe. Underlying the method is the fact that a high card rich deck/shoe, combined with optimal play, increases the mathematical return to player of blackjack. This is because a high card rich deck results in more pat hands for the player and increases the likelihood of dealer busts with forced hits on stiffs. The Hi-Low method is simply a means of calculating just how high-card-rich the remaining shoe/deck is so that you can bet accordingly. A nice way to practice counting is to deal a deck to yourself and keep a running count. If at the completion of the deal you have a count of zero, you were spot on. Increase the deal speed until the count is pretty much second nature and then you’re ready to hit the casinos. Can you count effectively at live dealer casinos? Traditional casinos don’t let players count cards. If they suspect a player is counting cards – and they are pretty good at detecting bet patterns consistent with card counting – they will ask that player to leave and not return. But what about online casinos? RNG (random number generator) blackjack games preclude the possibility of an effective count because all online RNG games are dealt from a full shuffled deck/shoe. Counting in this case is totally useless as you are playing to a full deck/shoe with every deal. The situation with live dealer games is very different though. This is not a computer generated deck that can be automatically replenished and shuffled every game. 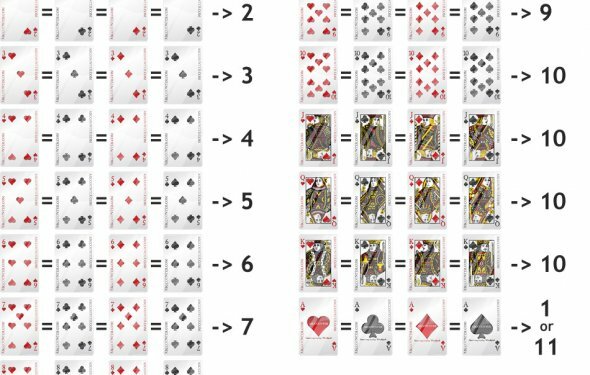 Can You Count Cards On Single-player Video Blackjack Games? How can you cant cards in blackjack at an online casino? You can only count cards in Live dealer blackjack, because in simple online blackjack cards are shuffling after every hand. At Live Dealer blackjack they shuffling card at the middle of the all decks, so you can wait and count as much as you want. I recommend to play at Microgaming, Playtech, VisionaryiGaming software casinos.